The Department of Education (DET) conducts reviews of schools every 4-5 years. This rigorous process is conducted by a DET appointed reviewer who consults with all stake holders to help determine the school’s needs and how to meet these over the following 4 year period. The result of this is the development of the School Strategic Plan (SSP). School policy documents which are also looked at as part of the Review. If you have any questions about this process please feel free to contact me via the School Office. develop class programs that provide rigour and challenge for students so they can engage with the curriculum at their point of need? How can the school seek and respond to authentic student voice related to issues that interest and affect them; and promote learner agency that encourages inquiring minds and results in independent and self-regulating learners who can track and monitor their own learning growth? Analysis of survey data, classroom visits and discussions with students on Validation Day led the panel to form the view that the extent to which students had a voice, and took responsibility for their learning were areas for further investigation. Investigation of this question will inform deeper understandings of how the school can further engage, inspire and empower students, further develop a positive attitude to learning about the world around them and thus further improve achievement. How can the school further develop as a powerful learning community, with a clear identity and purpose, underpinned by a coherent vision and values, to maximise engagement of all sections of the school community (parents, carers, teachers, students) and foster powerful relationships with schools and other organisations? Panel discussions revealed that the school has a very interested, aware and supportive community, with very high expectations. The panel formed the view that the school could further capitalise on this important resource. The value of further enhancements to relationships with other schools and organisations, both local and global, was also acknowledged by the panel. This report was presented to the School Council AGM in April 2018. Richmond Primary School fosters a community of socially responsible, respectful and resilient life-long learners. We develop curious, creative and collaborative students who contribute positively to the community now and in the future as global citizens. 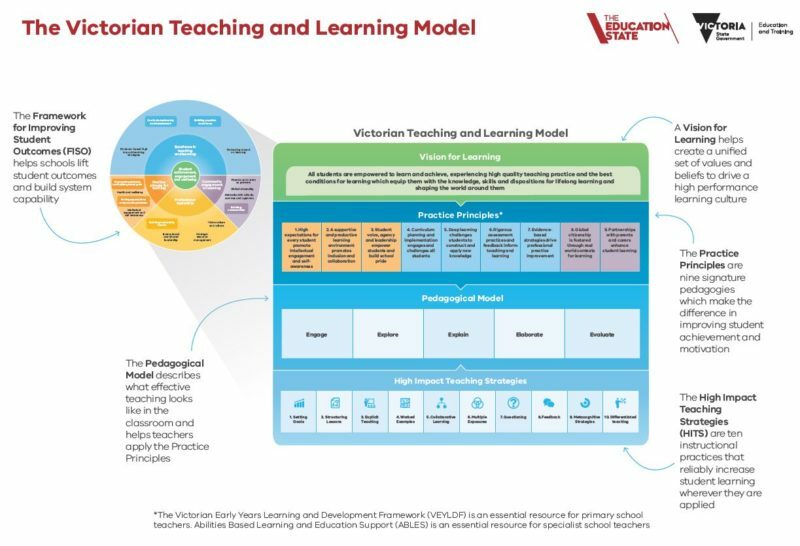 DET have released the model below as a framework for teaching and learning for all state schools. Staff are currently reviewing this model and working on how we develop our new Strategic Plan based on its principles.